Fortunately, Melbourne also offers a lot of free things for budget travellers, so you can easily spend a couple of days sightseeing without paying for any entrance tickets. 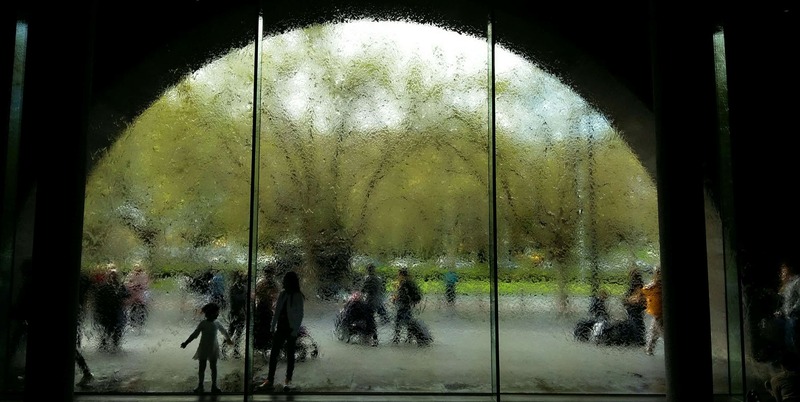 The National Gallery of Victoria, also called NGV, is one of my favourite free sights in Melbourne. It is the biggest and most visited art museum in Australia. Its permanent collection holds art from everywhere in the world. I saw Uzbek dresses, South American sculptures, Khmer art and a lot of European classic and modern paintings. It is easy to spend half a day here, if you want to take it all in. 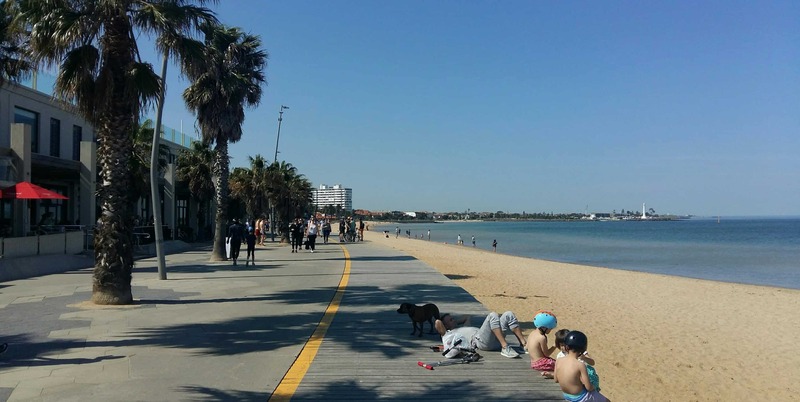 Take the tram or the bus out to St Kilda and spend half a day walking along the waterfront or relaxing at the beach. The Esplanade gives you a chance to take it all in and if you want to, you can walk out to the pier to see Melbourne from a different angle. During the day, you can go for a swim in the ocean. Come in the evening and you might even be able to see one of the penguins nesting under the pier. I love Melbourne’s Botanical Gardens. They are huge and free to visit. Walk around and you will eventually end up by a huge lake that you can circumnavigate. Inside the gardens, you can also find many themed areas, like a typical Australian forest, a meadow with Eucalyptus trees or, my favourite, the fern forest. The Australian Centre for the Moving Image, also called the acmi, is a great free museum at Federation Square. It has displays about the history of film and digital media. You can spend hours in here, getting lost at the interactive displays and playing various video games. They sometimes have free special exhibitions, too. When I went, there was an exhibition about female Australian game designers. Those exhibitions change regularly, so go and take a look. The Parliament House offers regular tours through the building. It is completely free to sign up. You will see the Lower House and the Upper House, as well as the library, and learn a lot about Australian politics. Our tour guide also shared many stories with us, talking about stolen chandeliers, the gold rush and politicians gone wild. 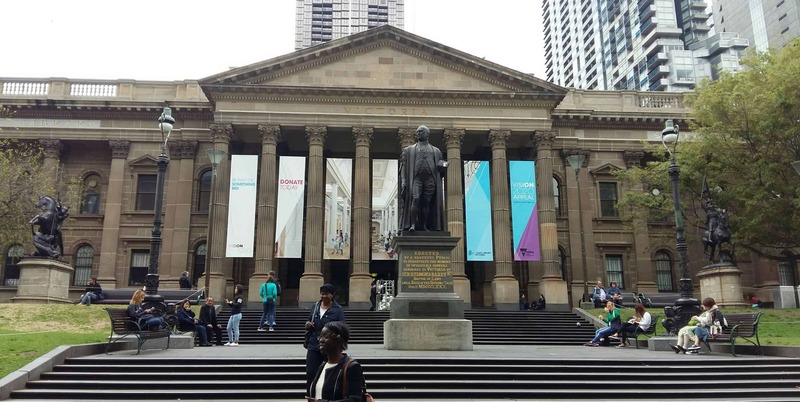 The State Library of Victoria is a beautiful 19th-century building located in the city centre of Melbourne. You can visit at any time and walk through the rooms and the permanent exhibitions, but if you’re here on a Tuesday, consider joining a guided tour to learn more about the building and its history. Queen Victoria Market spreads out over two blocks and has been open for more than a century. You can find almost everything here, from fresh fruit and vegetables to meat, clothes and souvenirs. The market is open on Tuesday and from Thursday to Sunday. If you come at lunch time, don’t miss the Deli Hall which offers a wide range of food stalls. The Old Treasury Building is another great free museum in Melbourne. Its exhibition is not very large, but it holds many interesting stories about the history of Melbourne and the gold rush. 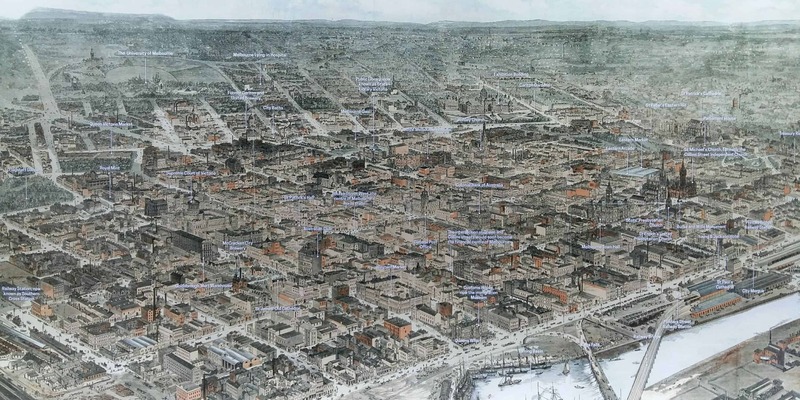 Did you know that in its beginnings, Melbourne was known for its breweries and in one year, 15% of the population got arrested for being drunk in public? Displays also share interesting stories about women at the time, giving you an idea of the challenges that new settlers coming to Australia had to face. And don’t miss the section about the gold rush! The Carlton Gardens with the Royal Exhibition Building are Melbourne’s world heritage site. 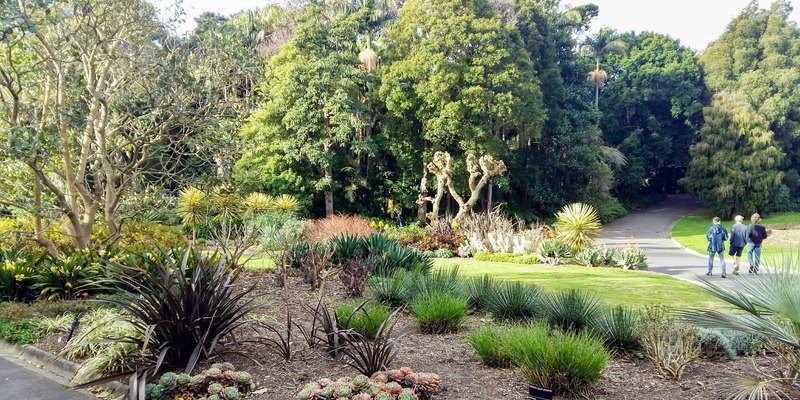 While they are not more pretty than the Botanical Gardens, they are still worth a visit. Plus, the Royal Exhibition Building housed the first international exhibition in Melbourne. Tours through the building are not free, but you can enjoy the gardens at any time without having to pay. In the little alley opposite Federation Square, Hosier Lane, you can find some of Melbourne’s best street art. Street art is everywhere in Melbourne. Another great place to view it is Union Lane, a small alley leading off Bourke Street. It is easy to miss it so be careful not to walk past. Southbank is a great place to go for a walk. The southern bank of the Yarra River is home to many cafes, shops and restaurants. If you come in the evening, you will find the walkway illuminated with lanterns. Plus, huge fires light up every hour, making for a spectacular show in the darkness. The aboriginal inhabitants of Melbourne are rarely mentioned in everyday life. Yet, they exist. While their population has greatly diminished since the arrival of Westerners, a minority remains. 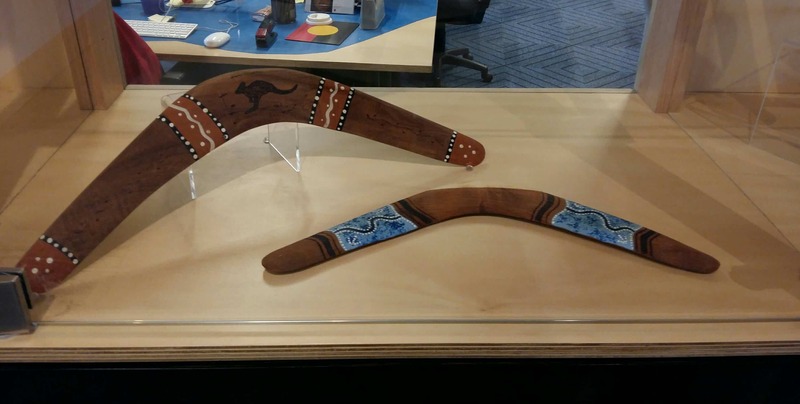 You can see some traditional and modern aboriginal art at the Koorie Heritage Trust, located at Federation Square. The upper level has great audio files, telling stories of aboriginal people and their lives. Have I covered everything? Do you have any other good suggestions on free things to do in Melbourne? I would love to hear about them. Transport is always a n iffy thing wherever we go. There is a free tram that circles the CBD – They are brown and “old style” compared with the suburban trams. Before you can use the paid trams and busses you need a MyKi card. If you arrive at Southern Cross station on Skybus from the airport you can buy a MyKi there – Or at any Australia Post outlet. They can be recharged at most train stations or post agent – The Card is a “Tap on Tap off” system when boarding. You will see many people push past others without “Taping On” but it is a risk. Melbourne has two zones – but forget about zone 2 – it is way out in the hills. Zone 1 covers just about everywhere and if you do go out to Zone 2 – your are already covered. The fare might seem high. For a single journey is $4.10 – Bus – Tram or Train – But that is valid for 2 hours – so in theory you can hop on and off as much as you like in a two hour period. If you were to go to say St Kilda beach for a three or four hour visit you would pay a second fare on the way back – But that is it – you will never pay more than two fares in one day. A day ends at midnight for Myki use. Thank you for adding that to my post, David! I wish someone had explained the MyKi card properly to me, before I came there. I was constantly confused about which zone I was travelling in and whether or not I needed to tap off on the tram. Once you get the hang of it, it makes sense, but it is very confusing in the beginning.